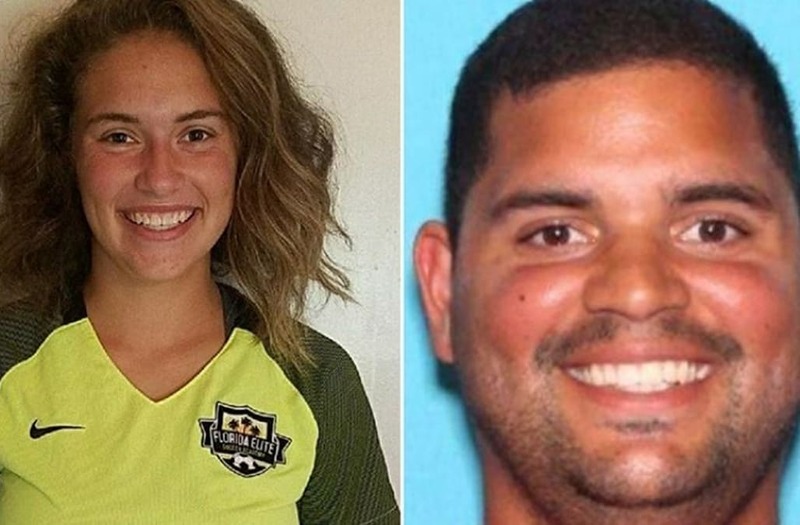 A Florida 17-year-old who reportedly fled her home with a local soccer coach had an emotional reunion with her family Saturday. Caitlyn Frisina was located in upstate New York with 27-year-old Rian Rodriguez on Friday afternoon. Rodriguez is reportedly a family friend and Frisina's assistant soccer coach at a local high school, authorities said. Police believe Frisina left voluntarily with him. On Friday, police spotted Rodriguez’s 2001 red Mercury Sable which the pair fled in and pulled the car over, according to Columbia County Sheriff's Office. Rodriguez was taken into custody without incident, reports said. Frisina was detained until she was reunited with her family on Saturday. Rodriguez was initially detained on a warrant for interference with child custody, reports said. Late Friday night, New York State Police said he had been charged as a fugitive of justice, KNEB reported. The teen initially disappeared from her home in Lake City, Fla. last weekend. In the following days she and Rodriguez were spotted on surveillance footage at gas stations while making their way North. Scarlet Frisina, the teen’s mother, told InsideEdition that she had no idea her daughter had a secret relationship with Rodriguez. The mom said her daughter's disappearance was all the more puzzling since she has a steady boyfriend, and they even spent Thanksgiving together.